Are you looking for the perfect pie crust? 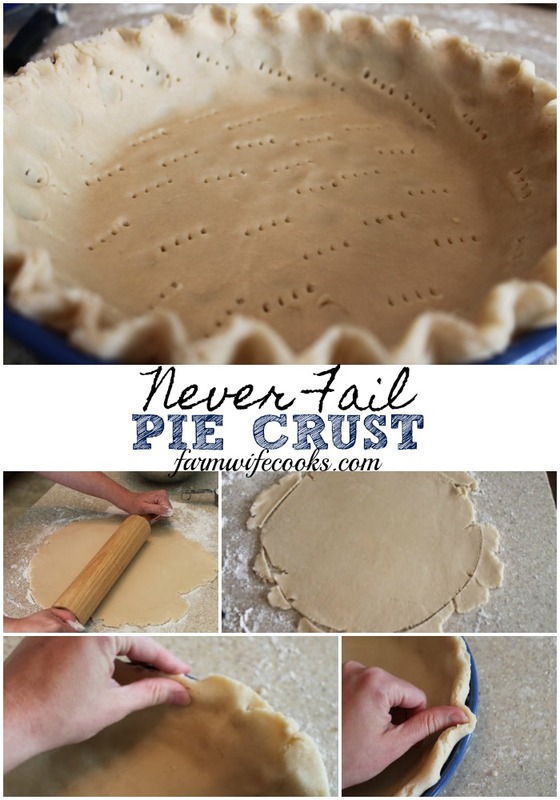 This Never Fail Pie Crust is my go-to recipe! You can’t go wrong with a great pie crust. 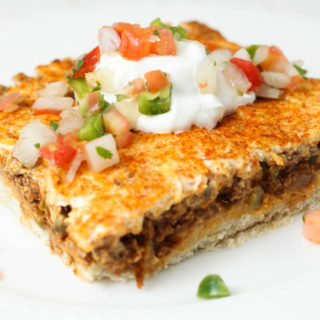 I have used many different recipes and this is my favorite! I got this recipe from my sister from another mister and she has won many awards at her local county fair using this crust in her pies! 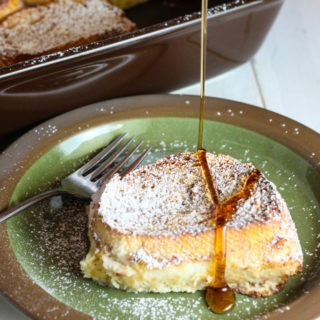 Rumor has it that she found this recipe in an Amish cookbook! I am going to show you step by step instructions that you can follow along with including pictures! Start by mixing together all your dry ingredients and then cut in your shortening. In a small bowl mix the liquid ingredients. Mix until blended. Sprinkle some flour on a solid surface. Knead the dough a couple times. Roll out to about a 1/4 inch thick. Move to a sprayed pie pan. Tuck the extra crust under. 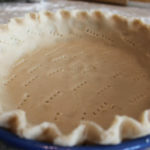 Use your thumb on your left hand and your thumb and first finger on either side of the thumb to help shape your crust. Pierce with a fork before filling with your favorite pie filling and enjoy!! Recipe makes enough crust for a 10 inch double crust pie. Mix all dry ingredients and cut in shortening. 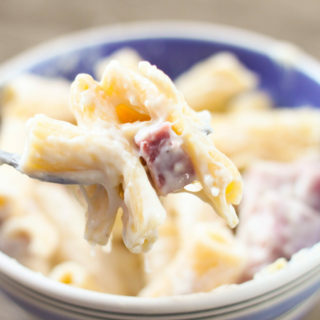 In a small bowl whip together wet ingredients. Mix until blended and form into a ball. Sprinkle some flour a solid surface. Trim excess and transfer to a pie plate. This looks like what my grandma did, except she never measured a thing, and her pies were always marvelous. I watched her make pies, but I was too young to think about having her measure things so I could duplicate her wonderful recipes. Ny father gave me this recipe over 30 years ago. If has never failed and always flaky. 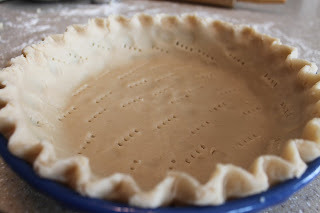 this is how I have been making my Pie Crust for years. Thrilled to find this recipe! Thanks for sharing! I’m going to share it with my daughter! Pinned it as Blue Strong on the Pie board!